The homestay segment in India is emerging as the next big thing in travel sector. Thanks to budding start-ups and global hospitality companies, it has already become competitive. All big players like Airbnb, Yatra, Make My Trip are getting into the market with their listings ranging from 1000 to 18000 homes in India. 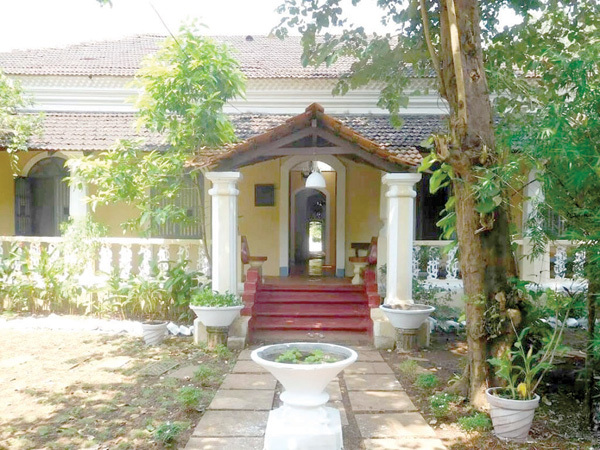 The Goan homes bring their own character and uniqueness to add to this growing list of homestays across the country. The impressive line of beaches, breathtaking greenery and warm hospitality of locals undoubtedly add to the zeal. The travellers are continually on a look out of fresh and unique experiences. People want to experiment with offbeat locations as well as authentic experiences, especially those who are revisiting Goa second or third time. A big component of that is fulfilled by the place where they choose to stay. Homestays seem to have carved out their own niche in the last couple of years. Both hosts and guests benefit immensely from the experience when a local opens his/her home for travellers like they would do for their friends and relatives. Apart from being an alternative income source for the host, it also gives them a chance to make new friends and learn from different people about their culture, at the same time showcasing their own, through their lifestyle, food, values and traditions. Not to be mistaken with the empty abandoned apartments being called homestays. While many aggregators are already present, new start ups promoting alternative tourism are creating their own space with specialised services to bridge the gap by understanding the needs of travellers as well as the bandwidth of hosts. It is crucial to be hospitable and yet, to not lose the personal touch. For example, in the case of rural tourism, it is as vital to work together with the community to create an ecosystem that benefits the mass it is to serve personalised offerings. It is a niche segment targeting travellers interested in culture, history and landscape of a rural community. It not only allows the guests a glimpse of the host’s lives and cultural heritage but helps to bring them closer to their own intrinsic roots. Most of these travellers come to breathe the stress-free air of these villages and end up taking a bit of this spirit back to where they came from. They not only generate income for the homeowners but for the entire community from taxi drivers, local guides, cafés/restaurants and other small local business. Tourism could be one of the most significant contributors to the sustainable development of Goa. At present tourism in Goa is associated with beaches, visit to prominent places listed out in the Tourism brochures and hotel stays. With the help of homestays, the economic benefits of this kind of tourism even percolate to the interiors of the State and not just the coastal areas. There is an urgent need to have a sustainable approach in handling the influx of tourists and the negative impacts of mass tourism as it directly affects the local people, their environment and the heritage of Goa. The homestay concept seems to work well when it is based on integrated concepts and strategies embedded in a wider, pro-poor, sustainable, and inclusive development context. Homestays are also increasingly proving to be a conservation and livelihood initiative in states like Sikkim and Kerala. The need of the hour for us is a friendly homestay policy along with eco tourism guidelines for Goa in addition to the existing Goa Tourism Master Plan and Policy. It could do wonders in further paving the way to preserve this beautiful land and boost the trend of homestays and cultural entrepreneurship. Aligning with centre’s current initiatives, continuous efforts need to be made to keep up the quality levels, addressing the concerns of hosts, improved safety standards and awareness about ethical tourism. Initially, it was only the foreign travellers who wanted to know India closer, used to search and book the local homes but now a lot of Indians are keen on knowing other parts of their country better. Depending on their travel choices and what they look to take away from a holiday, they are opening up to try several options. Not only youth but families and people from all age groups are willing to invest more into a vacation, not so much in terms of money but time and effort. It is only our responsibility to provide them with the most real version of ourselves. It’s time we have them adapt to our Goan pace of life and show what happens when tourists become long-lost friends.